Brent Preston, author of The New Farm, explains how easy it is to grow your own vegetables, even on your fire escape. When Brent Preston and his wife Gillian decided to ditch Toronto and move to a farm in 2003, they had no experience as farmers. The couple had felt disillusioned at work for a while, questioning “the idea that the ideal modern progressive career involves sitting at a desk for eight hours every day,” as Brent puts it. With their two young children in tow, they found a farmhouse and 100 acres of land in the town of Creemore. Cut to 10 years later, and that farm — called The New Farm — is thriving. 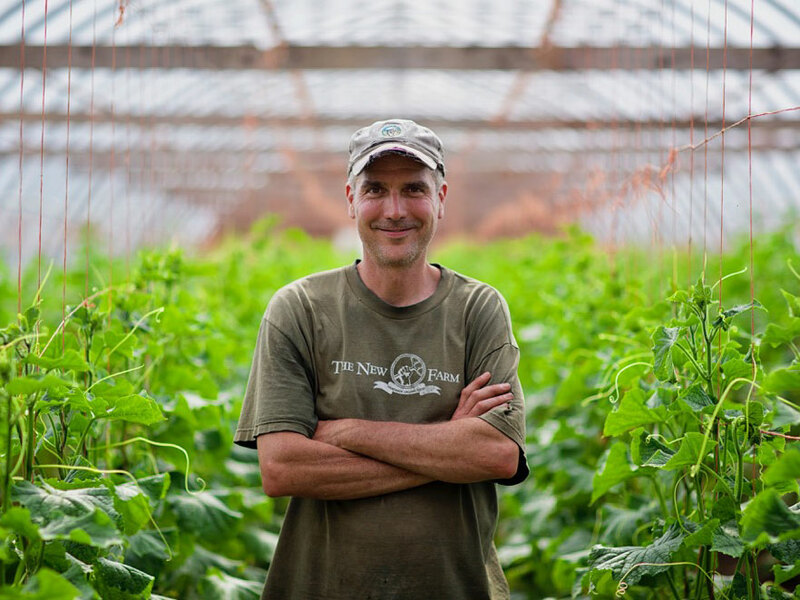 Brent and his family don’t just live a peaceful, contented life on their land, but they're making a living do it, too, selling heirloom potatoes, beets, and salad greens. In his new book, The New Farm, which came out on March 27, Preston recounts the first 10 years of his and Gillian’s journey to becoming farmers. As former city dwellers, they are well aware that the challenges a cramped, busy life can pose when it comes to eating not only fresh but sustainable food. While anyone can stop by Whole Foods for pricey organic vegetables, Preston argues that it’s more environmentally friendly, and satisfying in the long term, to grow your own food. It’s obviously not viable for everyone working in the city to simply abandon their lives and move to the country (and plenty of people wouldn’t want to), but aside from buying organic food at the supermarket—which Brent says supports “a whole system of agriculture that’s much better for the climate”—there’s another way to take part in the sustainable farming movement: You can grow your own food. Yes, even people who only have extra space on their fire escape. 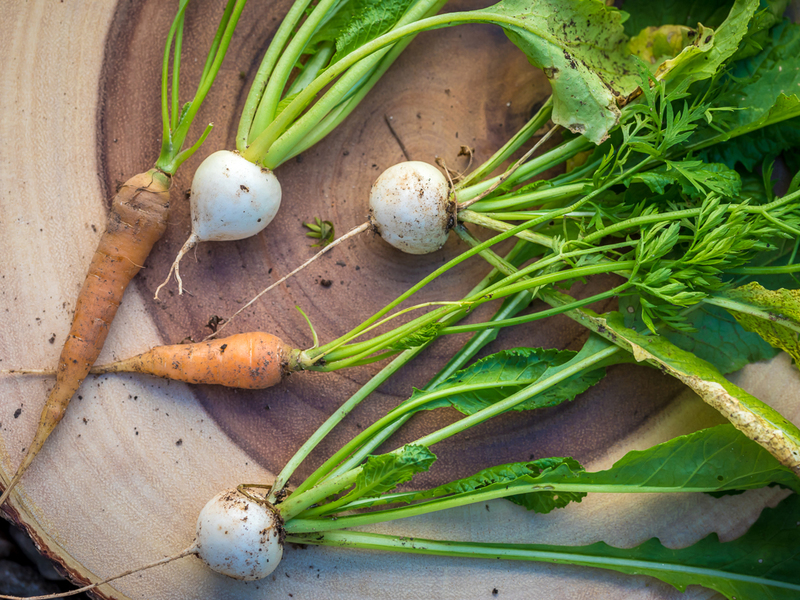 Ready to build your own mini vegetable garden? Here are Brent’s top seven tips for becoming an urban farmer. “Container gardens on a balcony can provide a person with salad greens for at least eight months out of the year,” Preston explains. “It’s the most local food that you can imagine.” All you need is a rectangular container, —you can find one easily at Home Depot or Target—that fits on your fire escape or balcony, and soil. If you don’t have time to keep track of a strict watering schedule, find a container that is self-watering, like this one from Amazon. “Focus on growing vegetables that don’t take up a lot of space,” advises Preston. Don’t try planting zucchini, for instance, because it grows into a huge bush. On the other hand, salad greens—like lettuce, arugula, and kale—are great for small spaces, because they regrow after you cut them. Anything that grows vertically, like tomatoes and cucumbers, will also save space. Try a round pot. One that is 12-inches in diameter, planted with lettuce or arugula seeds, will feed as many as eight people from the first harvest alone. If you have space for two or three of those pots, you grow could enough vegetables to eat a salad every night for most of the year. Your greens will grow back tougher and more bitter after each cutting. You’ll want to pull them up and replant eventually. Plant several pots or planters in succession, so you always have greens ready to harvest. Plant lettuce, arugula, spinach (which are frost hardy) any time of year—as long as the ground isn’t frozen.